We do our best to respond to all inquiries in a timely manner. If you contact us via email or Facebook and don’t receive a response within 48 hours, please phone us at our main number: 860-478-5954. If you’ve worked in theatre before and understand set design we need you. We’re looking to create amazing sets, paint them, and impress the public with your mad skills. Set design takes place during our off season. If you’re good with a hammer and simple outdoor work we could use a hand. 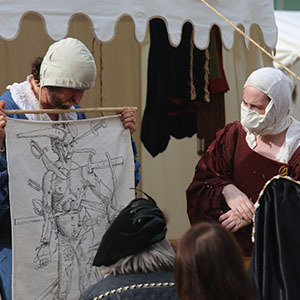 Help us set up stages, hang signs, and decorate the fairgrounds with a Renaissance flair. This may involve some lifting and starts 10 days before we open. During the show, we need help in our box office, greeters at our front gate, and security. 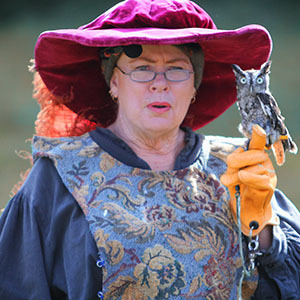 Greeters need to have Renaissance Faire attire. Working in the Box Office and security can involve everyday attire for the weather. It takes us 10 days to set up the show and only 3 to break it down. The breakdown is fast-paced. We could use a hand taking apart stages, packing things up, and tidying the site. Like setup, this may involve some lifting. 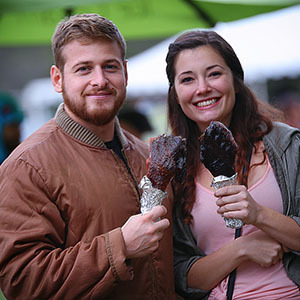 Volunteering at the Faire has its benefits and our community loves them. This could explain why many of our volunteers have been with us for over 10 years. Free Camping: All volunteers receive free on-site camping on the days they volunteer. Email our camping manager at camping@ctfaire.com to sign up for free camping. 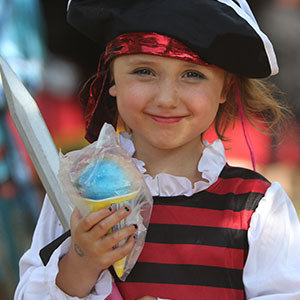 Free Tickets: Volunteers receive a complimentary ticket to the Faire. You can use this ticket at a later date or give it to friends. Toward the end of the show, you can request tickets to next year’s show instead. Letter of Recommendation: We take these very seriously. Please request this before you start your volunteer work. We’ll pay close attention to how you do and provide an appropriate recommendation. Special Events: You get to attend after-hours events to bring our community together. You can attend the participant party even if you didn’t volunteer that day. As long as you volunteer beforehand. Volunteer Giveaway: At the end of each day our Volunteer Coordinator brings all of our volunteers together for a drawing. This is your chance to win some amazing prizes. If you have any questions about volunteering, please contact us at helpout@ctfaire.com. When you are ready to sign up, click the button below and follow the instructions.